You may have noticed that I am a bit obsessed with the Brandrams, who for a hundred and fifty years had a large chemical works near the river in Rotherhithe. If you go to Old Bailey Online, you can find the full records of trials at the Old Bailey from 1674 to 1913, and there I found accounts of several trials which give a glimpse of the Brandrams at work. After the verditer had been produced and identified, Briant was found guilty and sentenced to be transported for 7 years. The saltpetre was valued at 30 pounds and the bags it was in at 5 shillings. 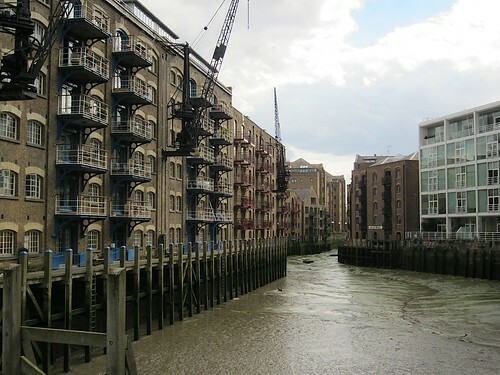 They took the bags of saltpetre across the river to St Katherine’s Dock, where they met Howard, who had previously agreed to take it from them, and this is where things went wrong. It’s not clear to me quite what happened, Howard seems to have tried to find a buyer and failed, but the next definite thing was that the saltpetre was being held by the Thames police. Mitchell pleaded guilty and gave evidence, which must be why he was only fined, but I can’t see why Johnson got away with it. There were other fascinating cases, in 1848 someone tried to steal “one bag of pale British vermillion” by presenting Brandrams with a note purporting to be an order from another firm, and in 1850 a Brandrams employee stole a keg of white lead by hiding it under a tarpaulin when he was loading his van “under the crane at the mill room door.” He drove off towards Deptford, but when challenged, made a run for it. Things don’t change much in the world of crime! According to the tutorial at Old Bailey Online, the first thing most people do with the site is to try their own surname to see if they have any criminal ancestors! But it can obviously be used in all sorts of ways, and I was very pleased to find the firm of Brandrams going about their paint and saltpetre manufacture in 19th century Rotherhithe.